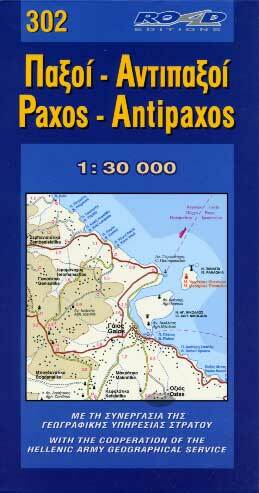 This map of the Paxoi and Antipaxoi Islands imprints with great precision the road net of the island, all the beaches with their names, all sights to be seen, scenic routes, villages and settlements, country churches, toponyms and everything else that will make your journey much more easy, safe en enjoyable. Legende in Griechisch, Englisch, Deutsch, Italienisch. Informationen in Griechisch, Englisch.